Over the past 15 years I’ve made some friends at all levels of the game. 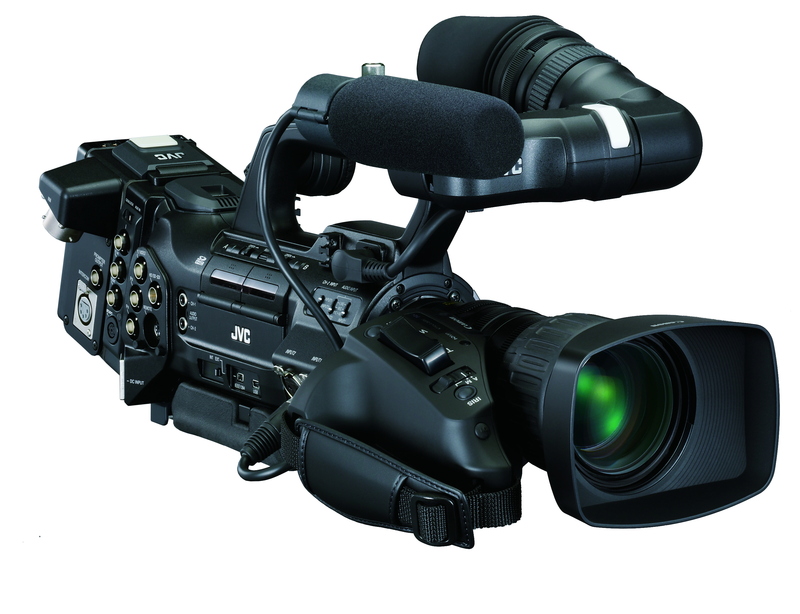 One of my buddies called me up this morning and asked if I knew anyone looking for a brand new in box JVC GY-HM790U camcorder. The sale would go through a legitimate JVC Authorized Dealer here in Canada and I assume a full warranty would be in place. and I’ll hook you folks up. 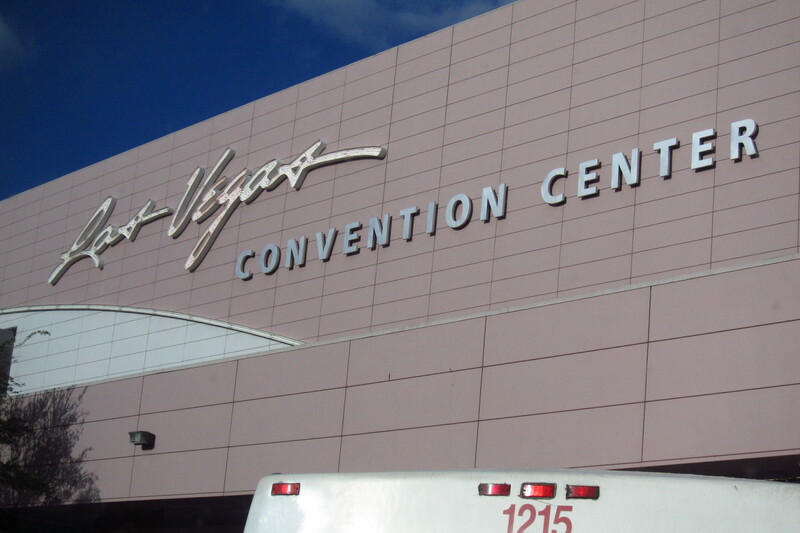 The Las Vegas Convention Centre, home of the NAB Show, from the seat of my shuttle bus. The National Association of Broadcasters convention and trade show (NAB Show) is an adult wonderland for those of us in the various production disciplines. Here, manufacturers like BlackMagic Design, Sony, Canon, RED, Sennheiser, Lectrosonic, ADOBE, Matrox, AJA, LiveStream, JVC, Manfrotto, Sachtler, Zeiss, Cooke and Lightpanels announce new products every year. New and independent manufacturers and service providers in smaller booths are often overlooked by the mainstream media in favour of their larger industry counterparts but never cease to amaze me. 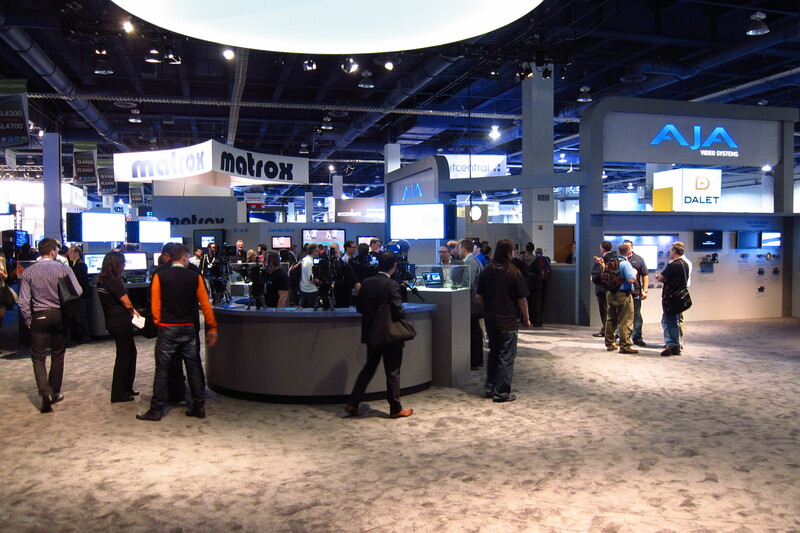 The 2013 NAB Show was my 4th. Since moving to Vancouver, BC I haven’t missed a show. The opportunity to see The New Hotness before many of my peers is important to me but not nearly as important as having the opportunity to see the gear up close and personal and to talk to the men and women who actually make this stuff work. Matrox and AJA are both companies who specialize in industry leading video and graphics adaptors and appliances. AJA has a couple of new products launching this year, one of which is especially interesting to me for a proposed new take on live production services. I had the chance to see it in operation and chat with a senior member of their engineering team about how it actually works and what some of the mid-to-long term goals are for adding new features. That alone is worth the trip for a guy like me. I think that is the most important part of the NAB Experience for – getting the opportunity to chat with some of the people responsible for the tools I use in my industry. I often talk about the DVInfo.net forum that I am a proud contributor to. 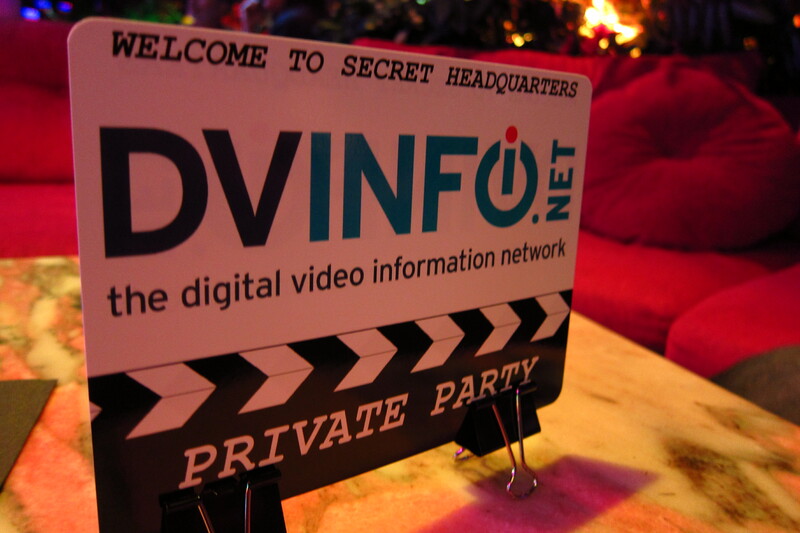 Chris Hurd is a gracious host and has invited me to the DVInfo Secret HQ Monday Night party for the past 4 years. The location is secret but the fact that it exists is public knowledge. At that party, I have had the opportunity to meet and chat with some of the big names in the industry. Sometimes I listen intently, sometimes I get to hold court. This year was one such opportunity as I was asked by Chris to chat with one of my fellow forum members about my experiences with the BlackMagic Design Cinema Camera (BMCC). As well, I get a chance to chat with the moderators and article contributors to DVInfo, including a NASA flight surgeon. For the second year in a row, I had exceptional access to Craig Yanagi of JVC who I now consider a friend. Last year we talked about the products he has been an integral part of launching, both back when he was with Sony and now with JVC. The guy is an absolute wealth of knowledge and is incredibly warm and gracious. Most importantly, he puts up with my nearly endless questions and suggestions. Former Mayor of Las Vegas Oscar Goodman and his lovely entourage addressing those of us catching a brief bit of respite in the beer gardens out by the production truck and trailer corral. Just as Las Vegas is more than casinos and dancing girls, (although I did meet very briefly the former mayor of Vegas who is very proud of his past as a criminal defence lawyer who, in his own words, “defended people accused of involvement with the mob and organized crime”) so is NAB more than just endless booths of gear. It is a chance to chat with kindred spirits, get exceptional access to the people who actually make this stuff and make it work as well as get the low-down on upcoming products that haven’t actually been released yet. I had two discussions on the show floor that involved discussion of new product releases that weren’t being showcased yet as the manufacturers were looking to reduce inventory on existing stock first. Why did these manufacturers confide in me? I’m not entirely sure but I’d like to think it is a combination of my respectfulness, knowledge of their product and the fact that unlike increasing numbers of attendees at NAB, I’m a broadcast professional, not a Millennial indie filmmaker. I am fiercely proud of my reputation in the industry and I am thrilled that I get the opportunity to meet my peers for three or so days every year in the Nevada desert to talk and laugh and poke and prod at new gear. I honestly believe that NAB is an energizing force for me every year and that like Mecca is to some, it is a place where every video maker should make a pilgrimage at least once. It is also a place of great frustration for many of us who have been at this for a while… I’ll talk about this more in the next post in this series on NAB 2013. Pictures cannot do the magnitude of the show floor justice. 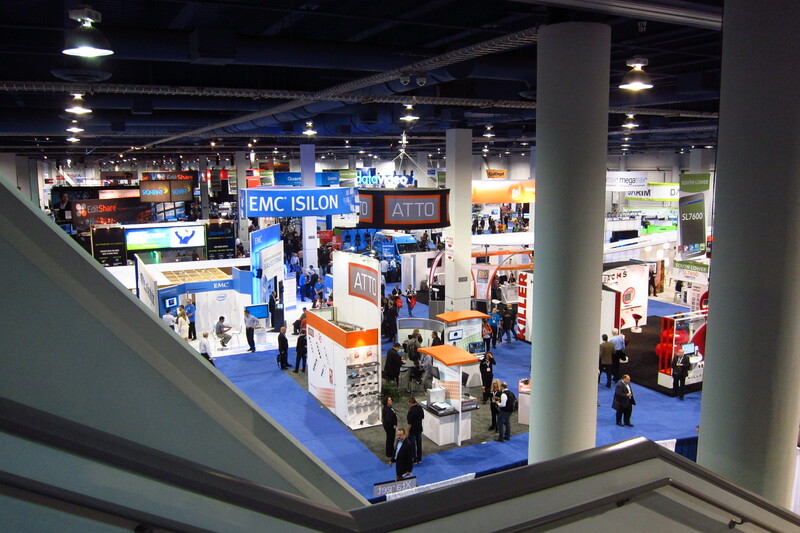 NAB is spread over multiple halls and floors at the Las Vegas Convention Centre.